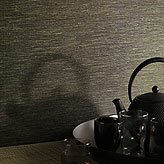 Being a lover of all things that last, Vescom are one of my favourite wallpaper supplier. Sold by the metre these are stunningly simple well fabricated designs. Silks, linens, textures. Quite beautiful. They have just introduced a new range of more affordable papers- if looking for a strikingly elegant feature wall than these samples are worth looking at. We also carry many of the Thibaut wallpapers collections as well as Harlequin, Romo, Zoffany and Galerie. Our shop has got to be worth a browse!